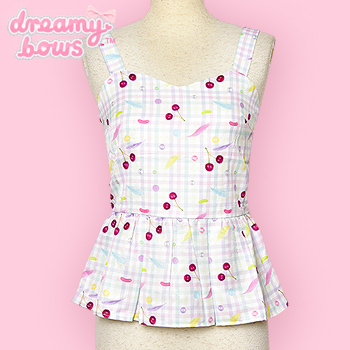 This wonderfully fun and cute peplum bustier top is super easy to wear, extremely comfortable and perfect for Summer. 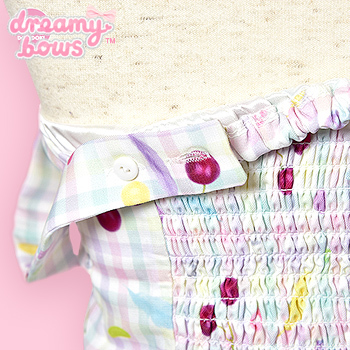 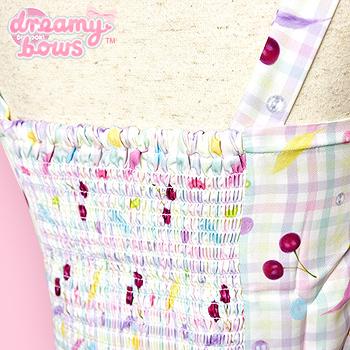 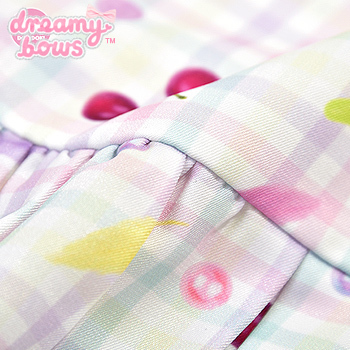 The print features cherries, feathers, jelly beans and pearl motifs sat on top of a sweet gingham background. 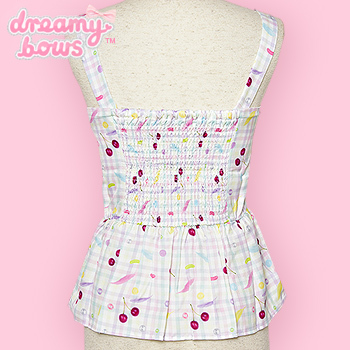 The top is cinched at the waist with a ruffled hem giving it a better fit and a flattering silhouette, the straps are also adjustable and the back is shirred. 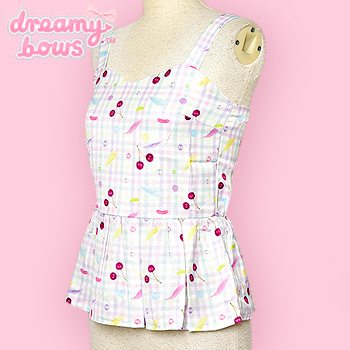 Why not pair this with the matching brace skirt in this series for that fun and charming Summer Sweetheart look!